Can you believe we are already in mid November? OYE! I best get a move on the Holiday decorating. 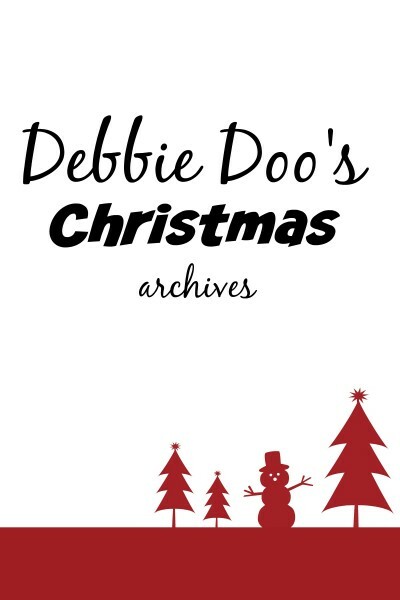 Seems trees are up, mantels are done, and homes are filled already with the spirit of Christmas. I plan on enjoying my Thanksgiving tree right up until the day after Thanksgiving. That is when I will start most of my Christmas decorating. I did do one craft for the season already. My little Christmas wine bottle in case you missed it. Today, in the meantime I am sharing a Traditional evergreen Christmas wreath that I made. I am usually good for one wreath per season. I think the last Christmas wreath I made was with my Mom. 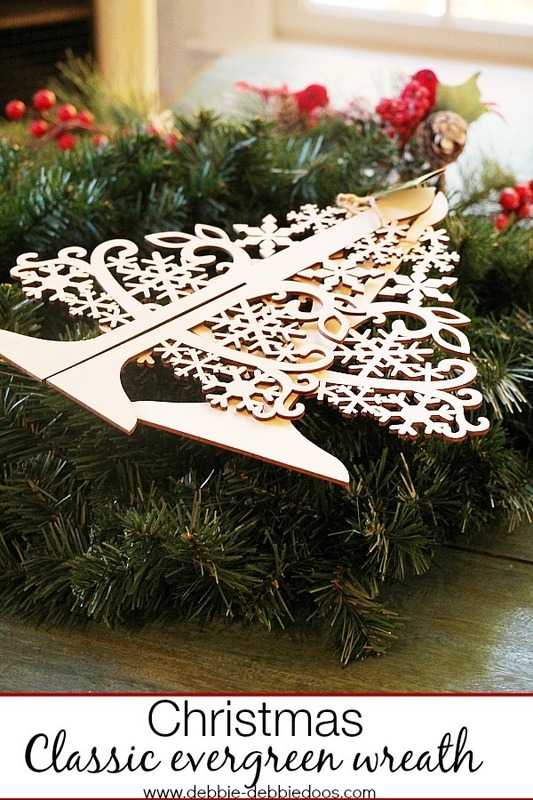 We tried our hands at a Christmas mesh wreath. 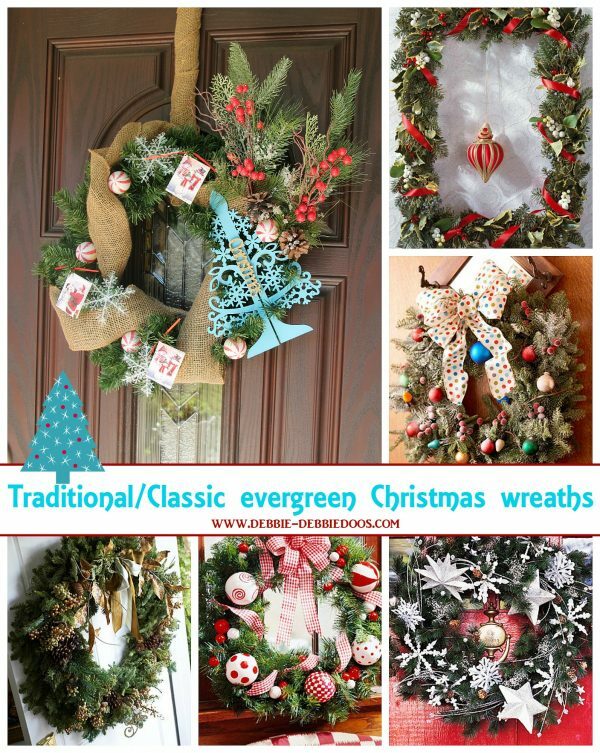 I also found a few Traditional evergreen Christmas wreaths from BHG you will enjoy. Classic evergreens really bring in or out The Winter and Christmas season. You can diy one of your own for well under $20.00. I found my evergreen at Michael’s for 50% off and it only cost me around $4.00. 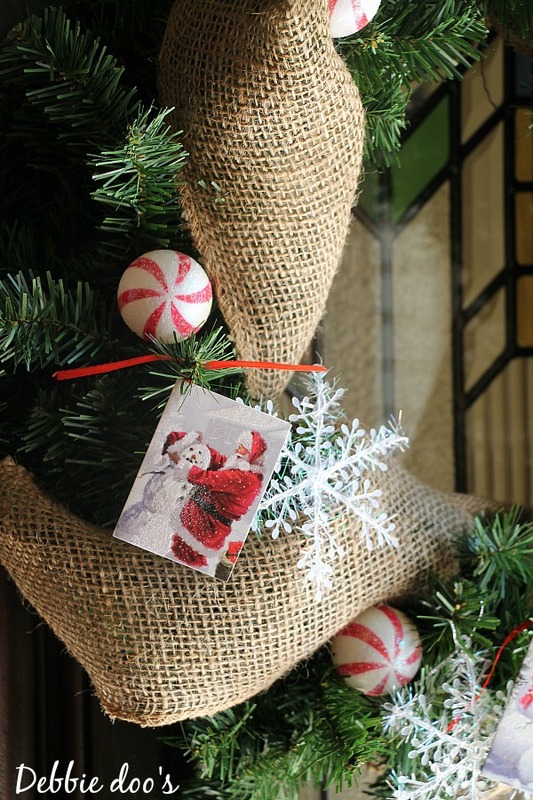 The ornaments, burlap and Christmas sprigs I already had on hand. I found the wooden Christmas trees in a two pack at Michael’s as well. Those were only a few bucks. I decided not to leave it natural and give it a quick coat of Chalky finish. Which, btw you can find this chalky paint now at Michael’s! 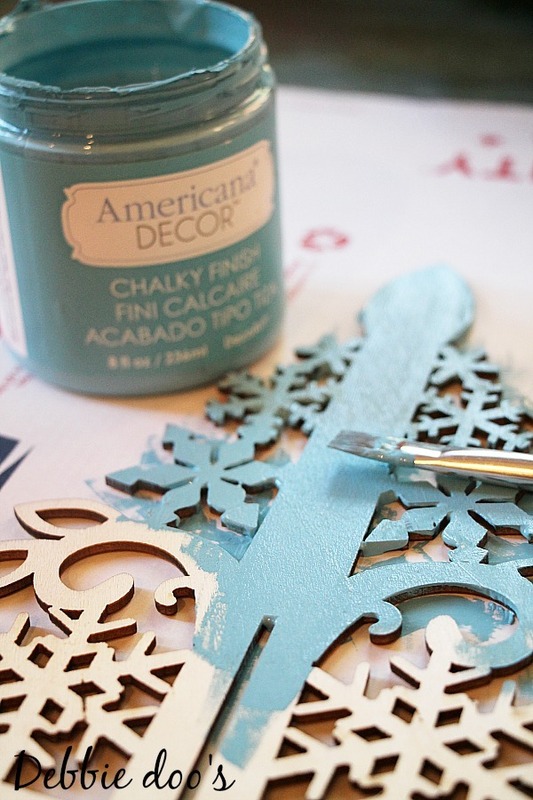 Blue is indeed my favorite color and I always have a splash or two of when decorating for Christmas. 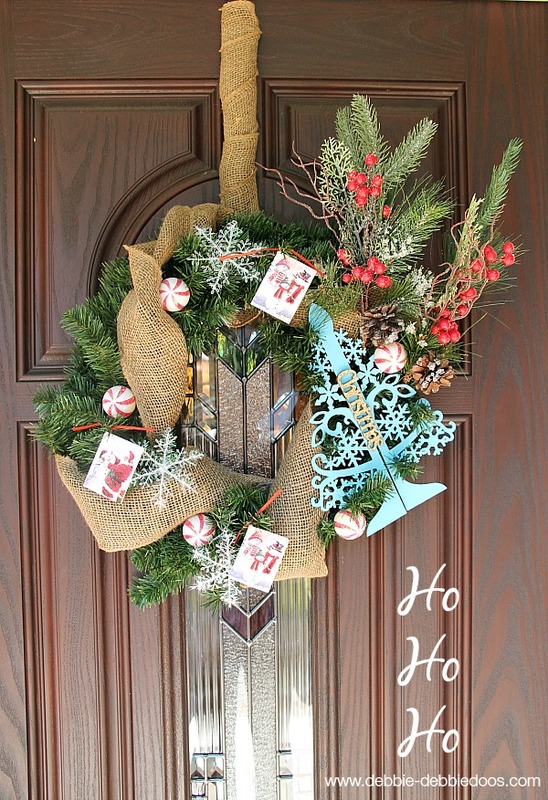 Besides it will go nicely on our Christmas porch and compliment the haint blue porch ceiling. Simple embellishment just in case you didn’t know it was a Christmas wreath. and some gift tags tied around the greenery. Oh and I can’t forget my little sparkle dollar tree snowflakes. First I wrapped the evergreen with some burlap. Just one wrap around and it does not have to be perfect. Not for me anyhow. I then stuck the sprigs on the side and used the greenery to wrap around the stem to keep it secure. and simply hang the snowflakes. Thanks for stopping over today. If you are not a regular here I sure would love to see you back again. You can check also check out while you are here. Okay, the little blue tree IS a perfect match for your porch. Getting excited for the party. I’ve got my Dollar Tree craft all planned out! 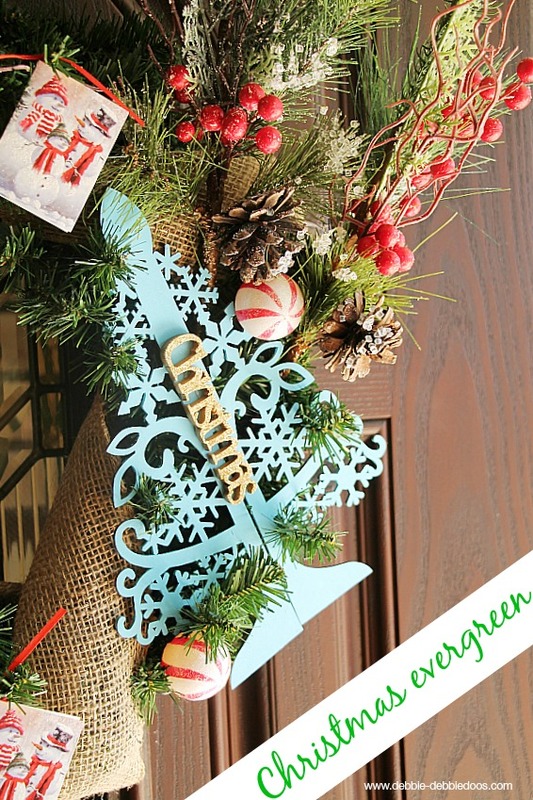 I still love evergreen wreaths….even though burlap, muslin and twigs have taken over my wreath collection. I want a real fresh one this year so I can smell the pine. Good to see you….CREATIVE GIRL! So perfect and simple! I love the little blue tree! 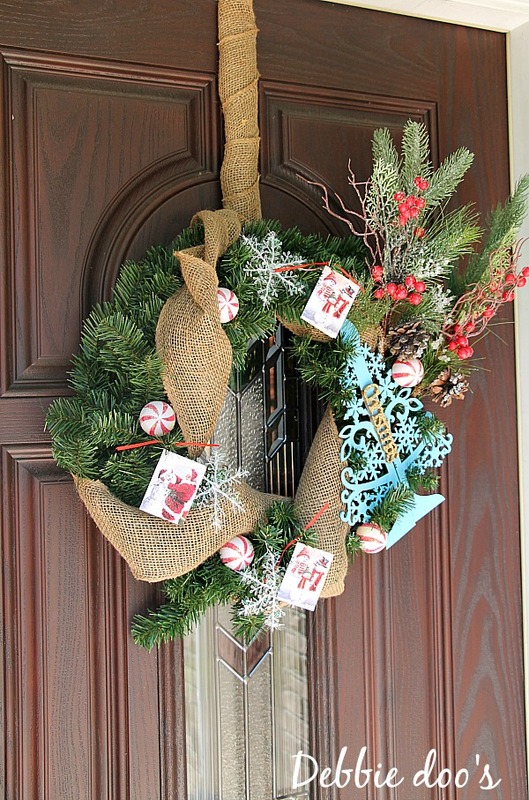 That wreath looks so pretty Debbie! Love the painted tree and the vintage looking tags you added…very cute! Thanks so much Martina. It was a quickie.